When my buddies in publishing and I decided to try to adapt the Emerging Leaders project of the American Booksellers Association to the New York area, it seemed like a perfect fit. The idea was to get the young people from the publishing community and the young people from the bookselling community together, informally networking and getting to know each other so that we could work toward the future of the book industry. But we ran into a problem I didn’t expect. The New York bookselling community doesn’t seem to exist. We’ve estimated (generously) that about 15% of the attendees at our Emerging Leaders Nights Out have been from bookstores, with all the rest from publishing houses or literary agencies. Almost no booksellers have attended more than once. And our invite emails to the “general” address of many, many local bookstores have gone almost universally unanswered. It's not from a lack of bookstores; I have a list of over 50 independents in the greater metro area that are currently open. There are probably a lot more publishing employees than booksellers in the city, but I know there are more booksellers than this. To be honest, I probably could have predicted this. New York City booksellers are notoriously uninvolved in their regional association, the New Atlantic Independent Booksellers Association. At the fall trade show, I was one of only two New York stores represented. The city holds the greatest concentration of stores, if not the majority of the stores in the region, but they’re not really much of a factor in decision making, networking, education, or advocacy on the regional level, because they just don’t join, and they don’t go. And not only do they not join official communities, but many don’t support their fellow indies informally. There are certainly some booksellers who know each other, and some bookstores that work together. But many would rather send a customer away disappointed than send them to a bookstore they see as a competitor. The two obvious questions are, why is this the case? And why does it matter? The answer to the first I think has some roots in both bookstore culture and New York City culture. Unfortunately, the old New Yorker magazine cover that showed the map of the world, where 9th Avenue took up approximately as much space as all of New Jersey (and most of Russia), is fairly accurate to many New Yorkers’ view of things. Life outside the city just doesn’t matter that much; “their” problems are not “our” problems. “We” just wouldn’t have much to say to a store from, say, Chester County, PA (an example I pick for its absurdity, as Chester County Books & Music is obviously doing much better than many a New York City store). And in some cases the New York Attitude can extend even to neighborhoods: what could my store in SoHo/Upper West Side/Park Slope/Chelsea/East Village possibly have in common with that other store in another neighborhood? Bookstore culture is the other factor. Independent bookstore owners tend to be… independent. Even iconoclastic, eccentric, or hermitish (though of course this varies wildly from person to person). They don’t tend to be “joiners.” Many consider their kooky little neighborhood venture as a singular entity that, once again, doesn’t have anything in common with any other bookstore. The independent spirit that makes for unique stock, colorful employees, one-of-a-kind spaces, and one-one-one relationships, can also mean that indie bookstores shun anything that seems it might threaten their independence, even if it’s a loose network of similarly independent stores. I think this is a mentality more common in older, smaller stores, but it’s still around. These two attitudes combined – New York snobbery meeting indie bookstore eccentricity – mean that (at least it seems to me) there’s an unfortunate tendency for New York bookstores to pull in their skirts, grumble that Store X is doing better than us and turn up our nose at Store Y that’s struggling, rather than consider that we’re all in the same boat. It’s a common response in a crisis (more on that later), but it’s pretty obvious it does more harm than good. The other, major aspect of bookstore culture that prevents a community, especially a community of young people, is the confusion about whether being a bookseller is a profession or not. For many, it actually is not. It’s a part-time retail job (albeit a supercool one), the equivalent of working at the Gap or Hot Dog On A Stick, which is performed for a finite amount of time, for very little pay, and no investment in the company itself. Fair enough. 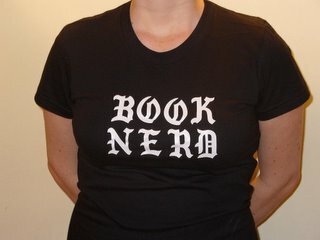 Unfortunately, the perception of dilettantism can extend even to employees who HAVE been with a bookstore a long time, who ARE invested in the store’s goals and well-being, and who are skilled and knowledgeable enough that they are major contributors to the store and thus to the book industry itself. These are the people Robert Gray calls “frontline booksellers,” the ones on the sales floor, putting books in customers’ hands. But ask them what they do, and they’ll tell you they’re working in a bookstore while they work on their novel, or album, or degree, or plan for life, even if they’re loving their job as a bookseller and rockin’ it old school. Maybe I’m wrong about this; I only suspect it because I struggled with it myself. The whole “if you don’t have an office/title/publication/PhD, it’s not a Real Job” mentality was inescapable, until the ALP’s observation that I loved what I was doing induced an epiphany that bookselling is, in fact, my career. That many booksellers don’t necessarily consider themselves skilled professionals with a stake in the state of their industry is an indicator of a kind of ingrained anti-retail prejudice. Fact is, if you’re good at what you do, and you get paid for it, you’re a professional. And frontline booksellers are the overlooked professionals of the book industry. They make the transaction – selling a book to a customer – that is the end goal of every agent, editor, publicist, sales rep, and marketer, in every publishing house, anywhere. And they create the space where books are browsed, discovered, and shared: the very arena of literary culture. Which leads to the second question: why is a bookseller community important, why does it matter. It matters in part because being part of a group of professionals reinforces the idea that one is a professional, and helps one to start thinking in more creative and powerful ways about the world that one works in. That was a weirdly passive sentence there, but what I mean is that my transition to career bookseller didn’t start until I went to my first NAIBA trade show, and found myself surrounded by others who cared about the same things I did. I started thinking about my bookstore not as just the place I punched the clock, but a vibrant part of a larger industry, and one that could be a factor in where that industry went. Booksellers need to hang out with each other in order to find their place in the book world. It sounds abstract, but it’s the beginning of revivifying independent bookstores, and ensuring their future. Without professional booksellers to carry the torch, independent bookstores will no doubt be slowly replaced by chains, corporate decision makers and ever more wage slaves. Bookstore owners in particular ought to encourage their staff to become part of the professional community if they care about the longevity of their stores. Because, though I know I’m the poster girl for optimism about the future of indie bookstores, there are some major obstacles to making a store work, especially in New York City: astronomical rents, corporate financial clout, the tyrannical convenience of the internet. Many a bookstore has gone under because their business model just couldn’t cope with the changes in the retail environment and the book industry. I could be wrong, but I suspect the stores that closed were not the stores who were constantly in communication with their fellow stores, attending conferences to learn about new developments, hobnobbing with like-minded folks in publishing or other aspects of the industry to get ideas, staying connected in order to stay ahead. They probably thought “independent bookstore” meant “we don’t need anybody.” Nothing could be further from the truth. We all sold a great book a year or so ago called THE WISDOM OF CROWDS by James Surowicki (check my spelling); his contention was that a group of people can come up with better ideas than the most genius individual, even or especially when the group is informal. The creativity and vibrancy that comes from networking with others in your field is invaluable, and can make the difference between success or failure for bookstores on the razor-thin margin of profitability. I can’t tell you what specific thing or idea would come out of a group of booksellers in a room together. That’s the point. The stuff that happens when a community talks to itself is something that no individual could create, and it works to the support of the entire community. As I wrote in one of my earliest blog entries, we are not each others’ competition. We are colleagues. Chain stores and Amazon take away far more of our business than we could possibly take from each other. And if we talk together and work together, we can not only increase our collective market share, but increase good will, and maybe even improve the literary culture of our city and our country. To be fair, there are signs of bookseller community already. Rusel, the dynamic force behind the thriving Penn Concessions bookstore in Pennsylvania Station, just sent out an invitation to the third bookseller/sales rep get-together. The one I went to last December was another building block in my enthusiasm for bookselling, and attended by a number of bookstore owners and sales reps of all ages. But it seemed like a tiny percentage of New York stores that attended, and a small percentage of the staff of those that did. We need to do more. It’s the Christmas season in New York. One of the classic New York Christmas movies is Miracle on 34th Street – remember it? The scene in that movie that has always stuck with me is the astonishment of a customer when Kris Kringle, the Macy’s Santa, sends her to Gimbel’s to get her child’s gift, because they have better stock on what she needs. The indignant Macy's manager is soon overwhelmed by the gratitude of customers and increased sales as a result of Kringle’s counter-intuitive program of good will. Soon Mr. Macy and Mr. Gimble are shaking hands on camera, both having bumper Christmas retail seasons. To me, that unlikely cooperation is the miracle of the film. Against their expectations, Macy and Gimbel found that supporting the other guy not only makes the customer happy, but benefits the store as well. It’s as old as the Golden Rule, and as cutting-edge as “small is the new big”. Support your fellows, and find yourself supported. I have on my computer a list of about 65 New York bookstores (including about 8 Barnes & Nobles), with their phone number, cross streets, and specialties. The list is by no means exhaustive. I refer to it whenever a customer is looking for a book we’re out of, or a subject I’m no expert in, or a genre we have no space to stock. I send them over, or I call the store and have them reserve the book. I know some other stores that do this too. And it’s like a little miracle every time: the astonishment, the gratitude, the sale. I’ll make this list available to anyone who wants it – it’s all public information anyway. Maybe it will be the beginning of your own holiday miracle. And I encourage anyone in the book industry, in New York or elsewhere, to think and wonder about how to make another miracle happen: the miracle of a thriving, connected culture of independent bookstores, and bookstore professionals, in the greatest city on earth. We’ll be trying again, in more practical ways, to get young booksellers together in the New Year. In the meantime, please let me know your thoughts. Thanks for reading.